The Great Grits Debate of 2016 continues to rage and is bringing out the worst in two groups that are really two sides of the same coin—people who love savory grits calling those who love sweet grits savages; those who prefer sweet grits saying that the savories don’t know nothing about good eating. At times it has felt like being in a heated political debate with two family members who are on opposite sides of the political spectrum: Both care deeply about the future of the country but want to go about it in very different ways. In this case, grits are our common bond. To say I was offended would be an understatement. I’ve known Damon for years, and he’s said some pretty wild s—t in the time that I’ve known him. Still, this invective against grits was something that bothered my soul. Like, for real, bro? First of all, grits matter. Every single grit. All of them. Maybe I took special offense because I’m a GRITS (girl raised in the South), but what will not happen is the disrespect of one of the greatest foodstuffs of all time—put some respeck on my grits, dammit. Yes, grits are country as cornbread. But guess what? They are cheap. They are healthy. 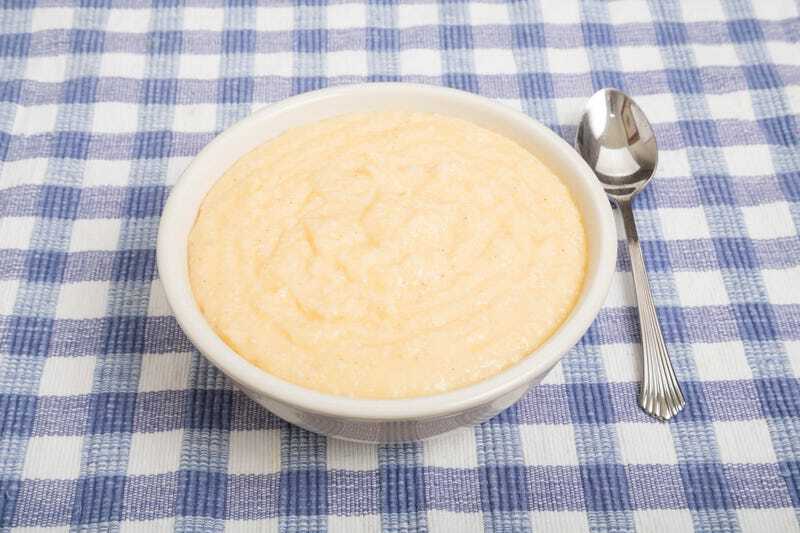 They fill you up and are perfect for describing the thickness of a thing, e.g., “Damn, I’m getting thick as day-old grits.” Grits are great with any number of meats, vegetables and sides. They are vegan. Jill Scott sang about them with such beautiful yearning that it became the way women in the natural-hair mafia showed they were really into a dude. (Friend: “Hey girl, what did you make Jamal for breakfast?” Me: *smiles dreamily* ”Griiii—iiiii—ittttsssss.” Friend: “Oh, reaaally” *side eye*.) So this disdain of grits is not only unwarranted but a blatant disregard for the ancestors and pre-Twitter Jill Scott. People from other parts of the United States like to pig out on corned beef or eat avocados with every meal or top their nasty sandwiches with French fries, and that’s just fine. But don’t come for grits unless they send for you, sweetheart. Do you see how hard in the paint people are going for grits on your Facebook, Twitter and Instagram timeline? I dare a grits hater to go anywhere in the South, or look their African-American meemaw in the face, and say something sideways about grits. Bet you won’t. You know why? Cuz you might get a nice scalding pot of grits in your lap. We should fear a far darker enemy than the man who dares put sugar in his grits; it is the man who doesn’t care for grits at all that we need to be wary of. The only man who has a right to hate grits this much is Al Green. Everyone else needs to fall back and pay homage to the hominy. Editor’s note: Sweet grits are an abomination. But hey, we have to stick together like grits on a pot. Terryn Hall is a Virginia-born, Detroit-based writer. You can read more of her stuff here.